Merauke, Papua: Anis Jambormase, a family member of female pastor Frederika Metalmeti (38 years old), is questioning the legal process against the shooting of their child in Boven Digoel, Papua, on 21 November 2012. When contacted by Suara Papua (suarapapua.com) on 7 January 2013, a statement was delivered by Jambormase in Tanah Merah, Digoel, Papua. According to Jambormase, through Danrem 174/ATW Merauke, the TNI has confirmed one of the shooters was from the military. Accordingly, the TNI has pledged to fire any corrupt officers. 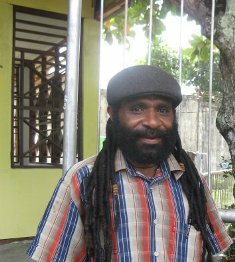 “Our family will continue to wait for the trial to take place in the Supreme Military Court in Jayapura”, said Jambormase. Meanwhile, when contacted by the media this afternoon, Lieutenant Inf Jansen Simanjuntak from Cenderwasih, claimed all suspects had already been handed over to the military in Mahmil (Mahkamah Militer or Courts-Martial / Military Court). Speaking on the telephone, “The military in Mahmil are currently going through the files. If they’re satisfied, the trial will be held in the near future”. 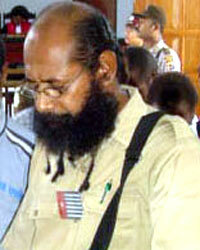 According to Kependam, since the beginning of the trial, the Commander vowed to proceed with the case. Any individual members who commit such acts will be severely punished. “We ask for the family to believe in the Commander’s promise, he is not messing around with this case, the legal proceeding will take place”, said Lieutenan Inf Jansen Simanjuntak. As reported in the media (Ironis, Dua Oknum Anggota TNI Tembak Mati Pendeta) on 21 November 2012, two people shot dead female priest Frederika Metalmeti close to the police headquarters in Tanah Merah, Digoel. A hospital official who had conducted an autopsy on one of the victims said gunshot wounds and bruises were found on the body. There were three shots to the body: the head, the left chest and right arm. Sharp tools had caused bruises and cuts on the face. When the national Commission on Human Rights met Commander XVII Major General Zebua Christian from the Cenderawasih military on 30 November 2012, he promised to severely punch rogue member of the military, and that a dismissal process will be considered. secure justice in this case. are enjoying the protection of the forces of law and order,’ said Andy. and 6 genzet (?) units. about the case with the leaders of the DPRP. 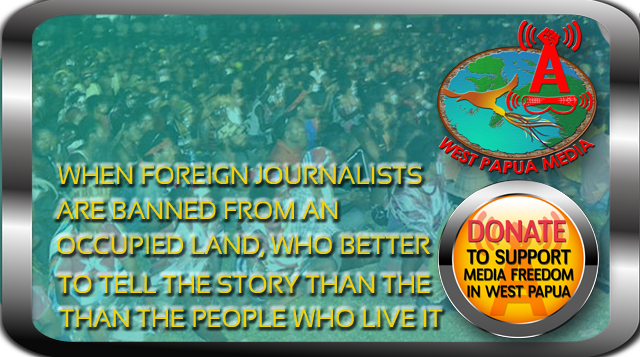 Since 3 December 2010 when Filep Karma and Buchtar Tabuni were transferred to the police authorities in Papua, no legal proceedings have been started against them and they still do not have any legal counsel. They have also been denied food for two days. Since 4 December, access to the two prisoners has been prevented. Two younger siblings of Karma as well as a representative of the SKPHP tried to visit them on 6 December but they were confronted by police officers. At 4pm, a member of his family asked the police for permission to meet Karma because visiting regulations allowed for daily visits except on holidays and other special days [tanggal merah] from 3pm till 5pm. The family member asked a police officer: ‘Why aren’t we able to meet our brother Filep Karma?’ to which the officer replied: ‘Because Karma and the others have been transferred here from Abepura Prison. According to orders from our superiors, if you want to visit them, you must first report to the head of the criminal investigation branch (Kasat Reskrim, Polda Papua) because we here are only carrying out orders from our superiors.’ The relative said that he only wanted to give Filep Karma some food and other essential needs and to hear what he himself had to say about why he had been transferred and why they couldn’t meet him. The police officer then allowed only a very brief meeting to take place, only time enough to hand over the things he needed whereupon the officer asked the relative to leave. According to information from the family, the five prisoners were given no food at all until 5 December. When Karma asked why they hadn’t received any food, he was told that it was because ‘all of you have been transferred from Abepura Prison and it is the responsbility of the prison authorities, not the police’. Five of the convicts had almost no access to food and drink till 5 December and since 5 December, they have been given some food but without anything to drink. Relatives had to bring the prisoners a gallon of Acqua to be shared between five men. Since 4 December, Karma who insists that he is not guilty of anything, has been on hunger strike in protest against treatment by the district chief of Papua and the director of the Abepura Prison. On 7 December, the family wrote to the director of Abepura Prison, the police chief of Papua and the head of criminal investigations asking to know what legal provision is being used to prevent them from visiting Karma. The situation now being faced by Filep Karma and Buchtar Tabuni represents a form of non-physical torture by the State, quite apart from the law on treason and incitement which was used to sentence Karma to 15 years and Buchtar Tabuni to three years. They said that convicted prisoners are human beings with the same rights and dignity as people who are not in prison. It is also clear that state officials are not acting in accordance with Law 8/1981 of the Criminal Procedural Code, bearing in mind that the police officials stated that they were acting in accordance with orders from their superiors and not in accordance with the law which in the legal basis which should be the basis for their actions. Filep Karma and Buchtar Tabuni are entitled to receive visits from their families, from legal counsel and from other people in accordance with Article 18, paragraph 1 of a decree by the minister of law. And furthermore, Filep Karma and Buchtar Tabuni are free to correspond with legal counsel and family members, according to paragraph 4 of the above mentioned ministerial decree. The families of people who have been convicted for incitement and are now in custody because of the recent riots in Abepura Prison have asked what is the legal basis being used by the police in Papua towards prisoners who have been transferred to them from Abepura Prison already for four days. who have been told that they cannot receive visits from their families, from legal counsel or from anyone else. Brimob member ran back to his HQ and contacted other Brimob members. avoid the angry Brimob members who seizing the area. spotlight that lighted up inside the room. Around 09.30, the locals found another dead body on the edge of abyss. The victim was known as Septinus Kwan, male, about 30years old, farmer. drawn back as the property of the indigenous people.